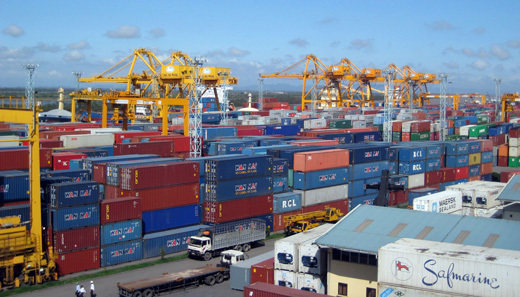 In March, Vietnam’s exports reached US$23 billion, an increase of nearly US$8.9 billion against the previous month and US$700 million compared to January. With growth rates in the agriculture, forestry, fishery and services sectors below those of in the same period of 2018, the FDI sector played a crucial role in economic expansion with its export value making up 70.9% of the country`s exports. Vietnam’s export growth increased 5.3% year-on-year to US$58.86 billion in the first quarter, the lowest level in 10 years, but exports are projected to pick up as advanced economies and China introduce stimulus measures, according to Viet Dragon Securities Company (VDSC). In the January – March, period, import grew 7.9% year-on-year to US$57.44 billion, lower than in the same period of last year at 13.2% year-on-year. This resulted in a trade surplus in the first quarter of US$1.4 billion, down 47.5% year-on-year. According to VDSC, export value to China and Europe declined and export growth to South Korea and Japan sharply decelerated. Exports to the US on the other hand increased dramatically by 28.8% year-on-year due to the US-China trade friction. Vietnamese furniture, machinery, equipment, and phone exports to the US skyrocketed in the first quarter. As a result, Vietnam recorded a trade surplus of USD10.3 billion with the US, up 34.5% year-on-year. At the same time, imports from China to Vietnam rose sharply. This can be partly explained by Vietnamese traders importing Chinese products to export to the US, avoiding higher tariffs, suggested VDSC. Overall, Vietnam’s trade deficit with China in the first quarter reached US$8.6 billion, an increase of nearly 58.9% year-on-year. Although phone exports to the US soared 87.2% year-on-year, exports of those same products to China plummeted in the first quarter, down 64.7% year-on-year as its smartphone market shows signs of saturation and Samsung continues to lose market share in the world’s second largest economy. The total export value from this product category decreased 3.6% year-on-year in the first quarter of 2019. Agricultural export value decreased 11% year-on-year due to price pressure on products such as rice and coffee. The export price of rice, Vietnam’s main agricultural export product declined 13.4%. FDI import growth fell sharply (4.7% year-on-year compared to 15.1% in the same period last year). Meanwhile imports by domestic enterprises rose due to an increase in crude oil imports (a 20-fold increase year-on-year) to serve Nghi Son refinery and big projects like VinFast’s car factory. 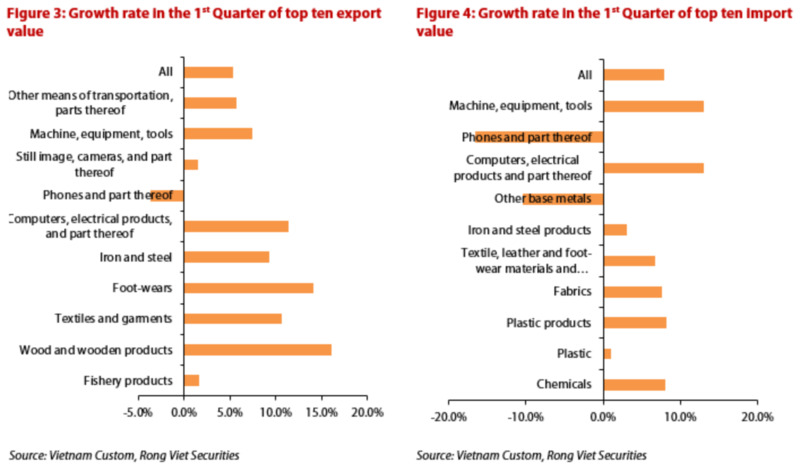 Vietnam imports mostly machinery and equipment (investment goods). This is good for the economy as those products help to improve productivity as well as export, stated VDSC. Import of consumer goods increased the most but accounted for only 8% of the total imports. Automobile imports grew 6.5-fold year-on-year given unusual low imports in the first quarter of 2018 due to regulatory hurdles. Coal imports increased 88% year-on-year due to high demand from thermal power plants; This trend will probably continue in the next quarters, VDSC predicted. Hanoi would support enterprises doing businesses in the city to promote their brands for greater competitiveness in both domestic and foreign markets. 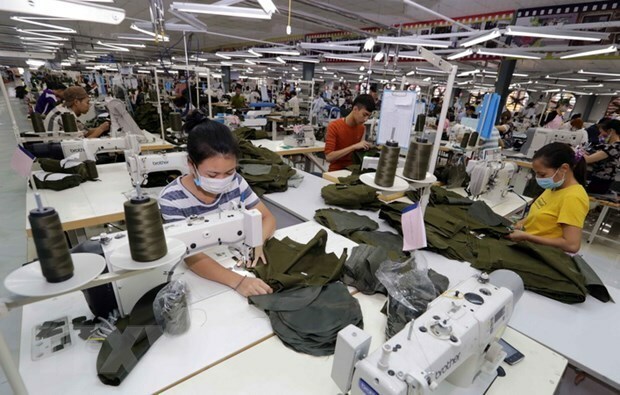 The move is in line with Hanoi’s ongoing efforts aimed to help enterprises integrate globally and develop sustainably, stated the Hanoi People’s Committee in a plan dated April 9 to support local enterprises to promote brands in 2019. Following the plan, enterprises would be offered training courses on building and promoting brands. Additionally, Hanoi would support enterprises to develop strategy for brand and product development, work with consulting firms to promote brands through marketing or advertising online and website construction, among others. In 2018, Hanoi was named among the top 10 in Vietnam’s provincial competitiveness index (PCI) ranking. Nguyen Doan Toan, vice chairman of the Hanoi People’s Committee, said Hanoi would strive to maintain its top-10 status in the future, while the result showed Hanoi’s perseverance in improving its business environment. “Hanoi’s ranking has been consistently going up in six consecutive years, up 41 places from 51st in 2012 to 9th in 2018,” Toan stated, adding the result has exceeded original target of being included in top 10 PCI index ranking by 2020 set by the municipal People Council. Vu Tien Loc, chairman of the Vietnam Chamber of Commerce and Industry (VCCI) said Hanoi is on track to realize its potential as one of Vietnam’s economic hubs and also in ASEAN in the future. As of present, 100% applications for business registration can be processed online, while the processing time for administrative procedures has been reduced to within three working days, and in some cases to two days. Starting August 2018, Hanoi has waived the cost of setting up new businesses and provided training courses for home-based businesses on start-up and corporate governance. Notably, Hanoi claimed the top spot nationwide in terms of FDI attraction with registered capital of US$7.5 billion in 2018, accounting for 21.2% of total foreign investment nationwide. In the first quarter of 2019, the city maintained the lead with US$4.15 billion of FDI commitments, or 38.4% of total investment in the country. Ho Chi Minh City Technology Centre for Standard, Measurement and Quality (SMEQ) has entered into a co-operation with Dien Quang Lamp in measuring and testing with light products and electric equipment to meet the increasing demand for these services. On April 5, SMEQ and Dien Quang Lamp signed a co-operation agreement to select the laboratory of Dien Quang Lamp to implement measuring services for light products and electric equipment to certify that light products and electric equipment satisfy the standards of BoA. Dien Quang Lamp recently signed an agreement with TUV SUD ASEAN – a global testing, certification, inspection, and training provider. Accordingly, TUV SUD ASEAN will support Dien Quang Lamp to develop its laboratory and improve cybersecurity solutions for smart homes and relevant products. According to a representative of TUV SUD ASEAN, Vietnam has large demand fortesting and verifying products, however, almost all light and electronic products made in Vietnam are taken aboard for certification. Thus, increasing the capacity of local laboratories will help to save costs and time for enterprises. Kitted out with modern equipment and machines imported from Europe, Dien Quang Lamp’s laboratory can check almost all safety indices. 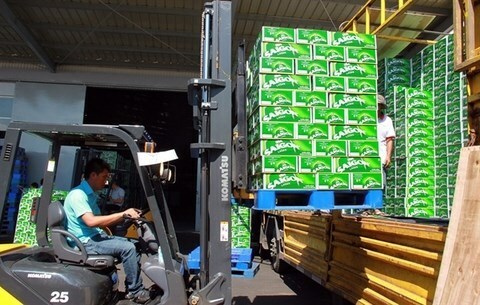 Beer is loaded for sale at the Saigon Beer-Alcohol-Beverage JSC (Sabeco) factory in Ninh Thuan Province. The decision, announced at the annual shareholders’ meeting on April 12, caught investor attention due to the fact net profit declined 11 percent in 2018, its first drop since 2013. Sabeco reported net revenue of 35.95 trillion VND (1.54 billion USD) in 2018, up 5 percent over 2018 and surpassing the yearly target by more than 2 percent. However, its profit after tax dropped 11 percent on-year to 4.4 trillion VND (roughly 189 million USD). Sabeco witnessed big changes to its management board last year, with a representative of Vietnam Beverage, an indirect subsidiary of Thai Beverage (ThaiBev) controlled by tycoon Charoen Sirivadhanabhakdi, joining its executive board in the second quarter. The company paid total 35-percent cash dividend last year worth more than 2.2 trillion VND, of which ThaiBev received 1.2 trillion VND. With the higher dividend rate, expected to pay this year, Sabeco will pay an additional 960 billion VND and ThaiBev will collect an extra 515 billion VND. Sabeco’s undistributed profit was estimated at 6.7 trillion VND after the dividend payment, but the company still faced the risk of being forced to pay tax and fines worth 3.14 trillion VND from the HCM City Tax Department for violations. 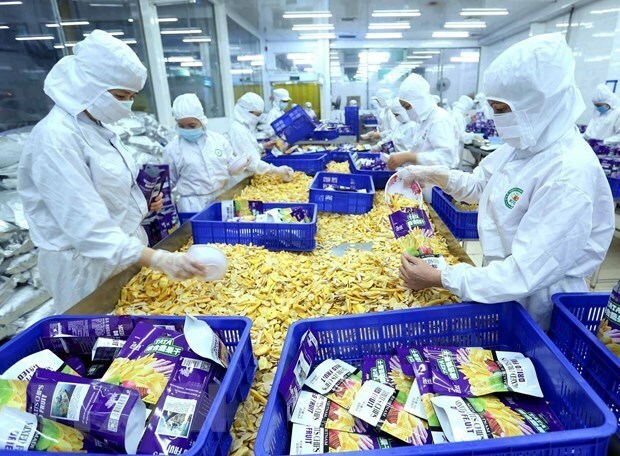 Sabeco has set higher targets for 2019 with net revenue of 38.87 trillion VND (1.7 billion USD) and net profit of 4.7 trillion VND (202 million USD), up 7.5 percent and 6.7 percent year on-year, respectively. Neo Gim Sion Bennett, Sabeco’s general director, has maintained a positive outlook for Vietnam’s beer market with a growth rate of 5 percent over the next five years. Sabeco plans a 6-per-cent increase in output to more than 1.9 billion litres in 2019. Last year, nearly 1.8 billion litres of Sabeco’s beer were consumed, up 0.3 percent year-on-year. The company said it will invest to raise the capacity of sales teams and distribution networks rather than applying discounts, emphasising the policy of maintaining stable prices throughout the system. Sabeco is concentrating on the domestic market and will strengthen its brand before reaching out to the world, the company representative said at the meeting. Regarding the intention of buying more shares in Sabeco, ThaiBev said it is satisfied with the current ownership and if more room is available, it will consider the move carefully. Shares in Sabeco, with sticker SAB on the Ho Chi Minh Stock Exchange, are the most expensive shares nationwide, being traded at around 244,000 VND (10.48 USD) per share. Garment and textile are among Vietnam's key exports to the Czech Republic. 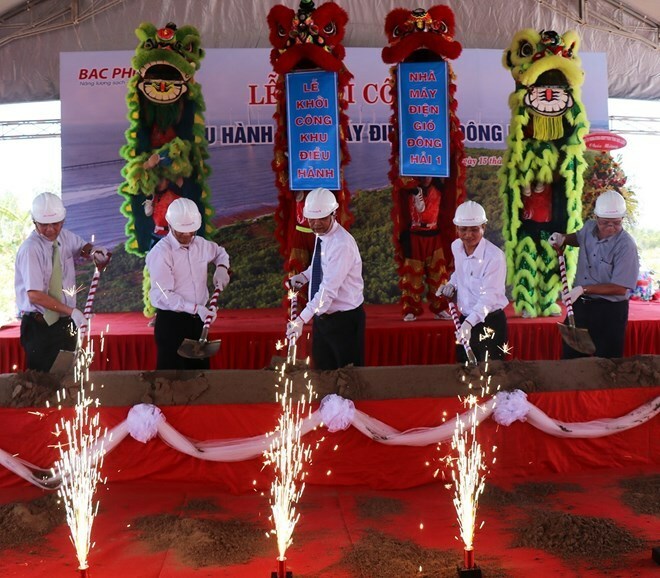 Construction work started on the operations centre of the Dong Hai 1 wind power plant, first phase, in Long Dien commune, Dong Hai district, the Mekong Delta province of Bac Lieu, on April 15. According to the Director of Bac Phuong Joint Stock Company- the investor of the project- Mai Trong Thinh, the construction of the operations centre, which costs 130 billion VND (5.6 million USD), will lay the foundation for the building of undersea infrastructure of the wind power plant, slated to begin in Quarter 4. The first phase of the Dong Hai 1 wind power plant is estimated to cost nearly 2.5 trillion VND (107.8 million USD), and has a total designed capacity of 50 MW. It will cover an area of more than 935 hectares of water surface and more than 11 hectares on land. Thinh said that the plant will have 12 wind turbines, a transformation station 22/110kV-1x63MVA, a 110kV line, an operations centre and other supporting works. Upon completion, the plant will contribute 161.02 million kWh of electricity to the national grid each year. Speaking at the groundbreaking ceremony, Vice Chairman of the provincial People’s Committee Vuong Phuong Nam said that the project helps branch out clean energy, which is classified as one of the five economic pillars in the province. He committed to creating favourable conditions for the investor so that the project will be put into operation soon, contributing to developing local socio-economy. Housing and food cost less in Ho Chi Minh City than Bangkok, Kuala Lumpur and Singapore, says a major real estate consultancy firm. According to the Global Living 2019 report prepared by CBRE, the average price of a house in HCMC is around $103,000, ranking 34th among 35 cities surveyed in the report, just above Istanbul in Turkey. The prices in Singapore, Kuala Lumpur and Bangkok were ranked 2nd, 32nd and 33rd, respectively. A house in Singapore costs $874,000 on average. House prices in HCMC in 2018 rose 2 percent year-on-year, while that of Kuala Lumpur and Bangkok saw a 4 percent increase. Average price of a prime residential property in HCMC, estimated at $403,000, was lower than $415,000 in Kuala Lumpur and $456,000 in Bangkok, the report said. The corresponding price in Singapore was almost triple that of Vietnam at over $1.2 million. The report said apartments were becoming a popular housing choice for HCMC residents. "Rapid population and employment growth is creating high demand for new housing. This is partly being met by the condominium market, which has emerged as a hugely successful concept in recent years," the report said. It also referred to HCMC as a ‘Silicon Valley of Asia". "More than 24 incubators and 12 start-up spaces have been created, encouraging more than 800 new ventures to begin operating and attracting overseas technology companies to invest," it said. The CBRE report said that a mid-range meal for two people in HCMC costs $17, compared to $26 in Bangkok. HCMC had the lowest food costs among all the cities listed in the report. The Ho Chi Minh City Tourism Festival 2019, closed on April 14 with total sales estimated at VND120 billion (US$5.16 million), up 45% over 2018. From 2019 onwards, tenants in Hanoi’s office market will have even more options to consider, given the increasing volume of office supply to be introduced in both Grade A and B, according to CBRE’s quarterly report released on April 10. Approximately 138,000 sq m is expected to come on stream in Hanoi throughout 2019, 62 per cent of which is in the city’s west, which continues to strengthen its position as the largest office supply hub. Locations in the midtown and west of the city will continue to appear on the prioritized option lists of IT firms and insurance or bank branches. Meanwhile, MNCs, embassies, and financial sector companies will have new options in the CBD for expansion or relocation. In terms of demand, on the back of strong economic fundamentals, the financial and IT / Tech sectors remain in good shape with stable demand drivers. CBRE forecast that flexible space providers will continue to be a major source of leasing demand in 2019, given the increasing need for improving space efficiency among corporate clients. Hanoi’s office market still saw relatively strong demand in the first quarter, primarily from local IT / Tech and flexible office providers as well as foreign insurance companies, with net absorption of 21,600 sq m, up 9 per cent year-on-year. As at the end of the first quarter of 2019, total office space in Hanoi had reached approximately 1.3 million sq m, of which Grade A accounts for only one-third. Vacancy rates in Grade A went up by 5.0 percentage points (ppts) compared to the previous quarter due to new supply, staying at 9.4 per cent, while that of Grade B went down 2.6 ppts quarter-on-quarter, reaching 9.6 per cent, the lowest level for the last three years. Ho Chi Minh City’s office market, meanwhile, only welcomed two new Grade B buildings with a total NLA of 19,800 sq m: the Thaco Building in District 2 and OneHub Saigon 1 in District 9. Due to healthy performance in the traditional office market and limited vacancies, the head lease / sublease business has been growing in recent years, including Pax Sky, Dragon Fly, Todd’s Realty, and GIC Office. These operators usually lease the entire stand-alone building (usually Grade C or basic standard office) from an independent landlord and sublease to small tenants. Besides flexible workspace, insurance companies will count among the anchored tenants in the office market over the next three years. According to figures from Swiss Re Institute Sigma, Vietnam is one of five countries with a low insurance penetration rate, but its insurance premium growth rate is even higher than developed countries, indicating plenty of opportunities for growth and that the country’s insurance market will likely continue to develop further in the future. From 2019 to the end of 2021, the Ho Chi Minh City office market is expected to welcome 16 new office buildings with more than 400,000 sq m NLA. The market is expected to have higher vacancy rates and slower rental growth in both Grade A and Grade B, while rents in Grade A will remain high. Rental growth in Grade A is expected to reach 4 per cent this year and vacancies will fall to 4 per cent due to new Grade A supply only being launched at the end of the year or the beginning of 2020. Grade B asking rents are expected to decrease slightly, by 1.5 per cent, and vacancies are forecast to increase 6.9 per cent due to a large Grade B supply coming on stream this year. Vietnam’s industrial real estate market possesses strong growth potential because of both supply and the expansion of the manufacturing sector, according to the latest Quarterly Market Report from Savills Vietnam. Growth in industrial real estate came in at 12.8 per cent in the first quarter of this year. 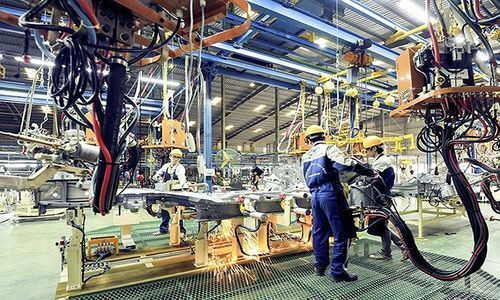 In its reports on Ho Chi Minh City and Hanoi’s real estate market in the first quarter, Savills Vietnam identified ongoing industrial property projects and current transactions in the market. The US’s TTI Inc. is planning to set up a solar panel manufacturing plant and an R&D center at the Saigon Hi-Tech Park (SHTP) in Ho Chi Minh City worth $150 million, while US aircraft components manufacturer, the Universal Alloy Corporation (UAC), began construction of its $125.5 million Sunshise aerospace components factory in central Da Nang city. In addition, South Korea’s Changshin Vietnam began construction in February of its $100 million footwear factory at the Tan Phu Industrial Park in southern Dong Nai province, the largest FDI project in the province. With $200 million in investment, Vietnam’s first aircraft engine parts factory, South Korean Hanwha Aero Engines, began shipping products in January. According to Savills, industrial production rose 10.3 per cent year-on-year in the first quarter due to stronger manufacturing production and increased electricity and supply, with manufacturing output rising 12.8 per cent. Meanwhile, Vietnam’s PMI was 51.2 points, the weakest since March 2016, due to silent demand and falling employment. Manufacturing output was still expanding, however, above the 50-point threshold. “Hai Phong has become a key industrial hub thanks to its improving logistics infrastructure, abundant land supply, and strong efforts by local government,” said Mr. John Campbell, Senior Consultant, Industrial Services at Savills Vietnam. Most of Hai Phong’s industrial parks (IPs) are in the Dinh Vu - Cat Hai Economic Zone, one of 15 economic zones in Vietnam. According to Article 16 in Decree No. 218/2013/ND-CP, new investment projects in economic zones receive a tax exemption for four years and a reduction of 50 per cent on tax payable for the next nine years. This is highly advantageous compared to other IPs. In addition, local authorities have made greater efforts to create the best conditions possible for investors by reducing delays in site clearance and investment licensing. Hai Phong has prioritized public-private partnership (PPP) developments in infrastructure at industrial zones, economic zones, and seaports, port logistics services, and commercial infrastructure. As at the first quarter of this year, Hai Phong had 32 seaports, including four international seaports, of which one is a deep-water port: Tan Vu - Lach Huyen. The government has approved over $268 million to finance eleven key road infrastructure projects carried out in 2019 and 2020. Two IP’s were launched in Hai Phong at the beginning of 2018. Key land supply set to accommodate expected interest include Deep C Phase 2 and 3 as well as the Nam Dinh Vu Industrial Park. Future supply includes the Trang Cat Industrial Park, with infrastructure set to finish at the end of this year, and Nam Cau Kien Industrial Park Phase 2 in July 2019. According to industrial cluster development planning to 2020 and vision to 2025, Hai Phong will have 12 new industrial clusters by 2020, raising the total land area to 1,080 ha, while achieving an occupancy rate of 70 per cent. By 2025, it is expected to increase to a total land scale of 1,377 ha and an occupancy rate of 80 - 90 per cent. Furthermore, according to the Foreign Investment Agency, Hai Phong attracted $3 billion in registered FDI in 2018, ranking it third nationwide. Doosan Heavy Industries Vietnam (Doosan Vina) announced on April 12 that it has become the first company in the central province of Quang Ngai to receive the Authorized Economic Operator (AEO) certificate from the General Department of Vietnam Customs. With this certificate, Doosan Vina is entitled to many customs priorities, such as significantly reduced customs lead time, cost savings due to exemptions from inspections, and lower storage charges. Also, Doosan Vina will also promote its corporate image as a professional exporter to partners, suppliers and commercial banks in order to gain easier access to capital. To achieve this certificate, the company has continuously complied with legal requirements, such as full compliance with customs and tax requirements; e-customs; e-tax; transparency of export-import payments; internal control systems; compliance with accounts and audits; and achieving yearly export-import turnovers. The certificate came into effect on March 20, 2019 and will be reviewed for renewal every three years. Doosan Vina is a high tech industrial complex in the Dung Quat Economic Zone of the province, employing 2,000 Vietnamese. Its products include boilers for thermal power plants, desalination plants, material handling systems, such as cranes, modularization and structural steel for refineries, buildings and infrastructure developments. To date, the company has exported US$2.4 billion worth of products.